Virtual reality is starting to gain some serious momentum. It all started with the Oculus Rift headset a few years ago but we began to see an implementation of the technology for smartphones with the Samsung Gear VR. The only catch with the Gear VR was that you needed to have a flagship Galaxy or Note smartphone in order to actually use it. What that meant was that virtual reality was out of reach of a lot of smartphone owners. That is not the case anymore as more affordable VR headsets have absolutely flooded the market. This is good news for virtual technology because more affordability and accessibility means that the acceptance rate among users will also go up and they’ll be looking into investing in VR products even more. 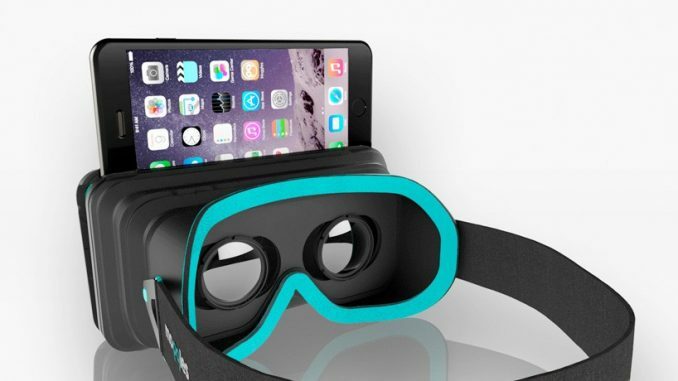 When it comes to smartphone VR headsets, there’s virtually an unlimited amount of options in the market. There are also a lot of vendors selling these headsets which makes the process even more confusing. 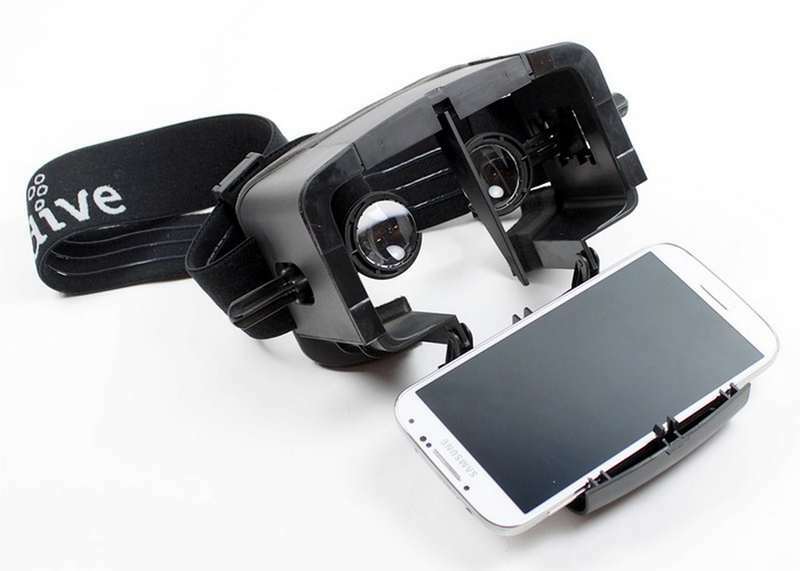 Smartphone VR headsets are incredibly easy to manufacture and are also incredibly affordable. If you’re looking for guidance regarding what kind of VR headset for a smartphone you should be getting, check out our extensive guides for mobile VR headsets. These headsets can vary quite a bit in price so it’s always good to do research on various offerings in the market. In this article, we’ll be looking at online stores where to buy a VR headset for smartphones so you can start exploring space and many other VR secrets! Amazon has made a name for themselves for offering a large variety of products at great prices. Really, the selection of products on the website beggars belief. Simply searching for a VR headset will land you a lot of results which can be very helpful if you like to look at a lot of options before settling on one product. The large selection also helps you pick the product for your price range easily. Most VR headset manufacturers have their own stores on Amazon which means you’ll be getting a great price. Amazon also has a very reliable review system that lets users rate and review any of the products on its website. Just at a glance, you can see a rating for the product that goes up to 5 stars. We would recommend that you stay away from products with less than a 4-star rating. Also, check out the number of users that have rated the product as that is a good indicator of the product’s popularity and gives you a fairer picture of how it’s performing. But you shouldn’t just stop at the rating. Scroll down and check out the user reviews that a product is getting. You’ll find out key information about the quality of shipping and even the product itself. A neat little detail on the website is the assigning of “Verified Buyer” badges to reviewers who have bought the product through Amazon, thus providing further assurance that the review is legit. AliExpress is an online marketplace that has exploded in popularity in the past few years. It is a consumer-oriented version of Alibaba, a juggernaut when it comes to online marketplaces. Most of the products on AliExpress come from small Chinese manufacturers but don’t let that put you off. China is making some really high-quality products these days that you can get at really attractive prices. The variety of VR headsets on the store is huge and it’s easy to get lost just browsing through the headsets listed there. Always exercise some caution as not all products on the website will be of good quality. It’s a good idea to check the number of orders a certain product has gotten to give you a better knowledge of its popularity amongst users. Check out the rating of the product as well as the user reviews, these are crucial when it comes to Chinese products. A product with a low amount of orders and a less than 4-star rating should generally be avoided. As mentioned, the products offered on AliExpress are generally quite cheap. What’s more, the website also offers free shipping on most of its listings. VR headsets are mostly lightweight so there will be no major shipping charges attached to them. While the shipping is free it can take a fair while in getting to you. Expect a shipping time of anywhere between 7 days to a whole month. If you’re conscious of a budget, definitely visit the AliExpress store. You won’t be getting your headset as quickly but you’ll also be saving a significant amount of money. Like AliExpress, Gearbest is an online marketplace that specializes in Chinese products. Most of the products on this website greatly undercut mainstream products in price while offering the same features. The quality might not be on par of course, but you’re getting slightly more than you pay for with these products. The product selection on Gearbest is dwarfed by AliExpress but there seem to be more quality products on offer which can make your buying decision a bit easier. Gearbest, like others in this list, employs a rating and reviews system that is essential for users to gauge the popularity and quality of a product. Before buying a product be sure to check out the comments left by users to get the real picture of how a product is performing in real life. The website offers free shipping on most products and the shipping takes lesser time as compared to AliExpress. Gearbest offers some products through their European warehouses which can cut down shipping times significantly. BestBuy has a whole section dedicated to VR headsets for smartphones. That shows that they take this category very seriously and are catering to the users. The product selection is a bit limited as compared to the other online stores in this list but the headsets listed on BestBuy all seem to come from known brands with a lot of market presence. This can save you time while you’re browsing the catalogue searching for the perfect headset in your budget. There’s a review system in place where users can express their views about the product. Be sure to give the user comments a look before making any sort of purchase. The reviews you find online do not take about the longevity of a product and a user review might shed light on this important aspect. All purchase are backed by BestBuy’s strong customer support team so if you run into any hassles while making your purchase, you’ll be assisted in a helpful manner. All of the stores mentioned above carry a great selection of VR headsets for your smartphone. The standard procedure when buying a VR headset for your smartphone would be to the first search online for the best VR headsets for smartphones and then scour through all of these websites to look for the best deal available. Smartphone VR headsets are a relatively inexpensive purchase but you still want to buy a product that will satisfy your expectation when it comes to a good VR experience. Once you buy a mobile VR headset, have a look at where to start in VR!